Interdisciplinary Studies is once again proud to announce that Muna Ali has successfully defended her Master's thesis entitled: “Anchored in Our Culture, Focused on Our Future": Negotiating Spaces for Somali Women in Toronto through Gashanti Unity"
Muna's thesis was passed with no revisions. Cynthia's thesis was passed with no revisions. Thrmiga's thesis was passed with no revisions and she will be graduating in October 2018. Sam’s thesis was passed with no revisions and she will be graduating in October. CONGRATULATIONS to our Graduands, Maxwell Ranasinghe, Terri Raymond, Hana Gartner and Emmanuel Osaze, who have successfully defended their theses. It is with great sadness, that we at Interdisciplinary Studies, announce the passing of our beloved founder, colleague and Executive Member, Dr. Christopher Innes. Dr. Innes provided IS students a great opportunity to pursue independent and innovative research in a wide range of interdisciplinary topics. He worked relentlessly to create the program by visiting all the different departments in all faculties to promote his ideas for the program and after a great deal of hard work on his part, the program was founded in 1972. Dr. Innes will be sadly missed by all of us at Interdisciplinary Studies. His idea in creating this program was pure genius. Muna Ali, Interdisciplinary Studies student, selected by CBC to tell her story. for successfully defending their Interdisciplinary Studies Thesis . for successfully defending their Interdisciplinary Studies Thesis this June. 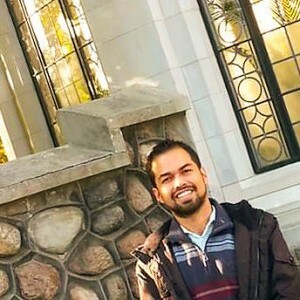 Alejandro Mayoral Banos was interviewed by the Toronto Star. Check it out thestar.com for the whole article. Lord Dufferin, Canada’s third Governor General after Confederation, created the Academic Medals in 1873 to encourage academic excellence across the nation. 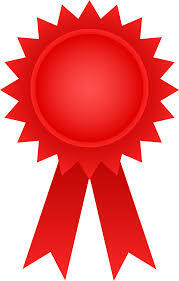 Over the years, they have become the most prestigious award that students in Canadian schools can receive. 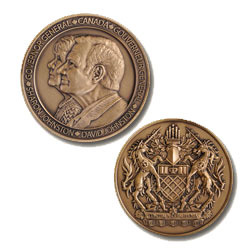 Medals are presented on behalf of the Governor General by participating educational institutions, along with personalized certificates signed by the Governor General. 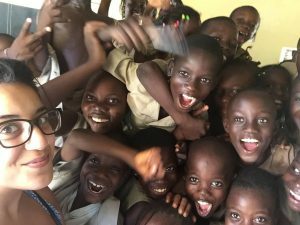 Leva Rouhani's work - "Girls' Schooling Experience in Frankadua, Ghana: A Case Study"was nominated by her committee and the GPD for having demonstrated “distinction in scholarship at York University." This thesis and it's related field work serves as an exemplar for IS and while it was an MA it was enacted, analyzed, written and defended at the equivalent of a PhD level. There are only two awards per year - one at the Masters and one at the PhD, and Interdisciplinary Studies - the little program that we are - now boasts THE award winner for an MA. A big shout out to Leva's supervisors for their interdisciplinary guidance and support - IS thanks Minoo Derayeh, Pablo Idahosa and Livy Visano. Leva - you are off doing your PhD in Ottawa now but IS wants you to know how proud we are of you. All the best. Talk about a pay-it-forward way of being in the world! John Greyson has demonstrated this life ethos in a big way. 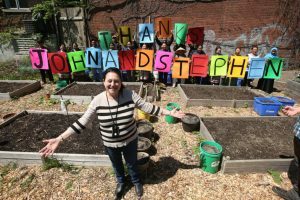 Together with his partner Stephen Andrews, YorkU IS's own (ok and Film's 🙂 ) John Greyson has donated land to Parkdale Land Trust for a wonderful community garden. IS Supervisor Dawn Bazely showcased on 2016 Earth Day! In the early 1970s, Professor Christopher Innes, while a relatively new assistant professor, had the tenacity and foresight to understand and promote the value of interdisciplinary studies within academe. 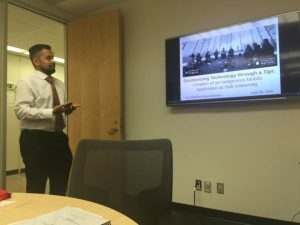 To that end, he championed this concept and innovative approach - meeting with people in every nook and cranny at York; ushered his proposed MA program through every decision-making body and ultimately convincing all of it's necessity and value at YorkU's Senate where in 1972 it was approved. 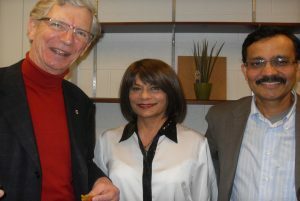 It was the first graduate program of it's kind in Canada. 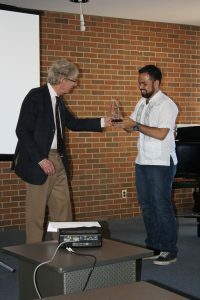 The Christopher Innes Interdisciplinary Studies Champion Award is meant to affirm these same values in both students and supervisors affiliated with the program. Student recipients will have achieved an exceptional academic record of achievement within the IS MA program, have exemplified strong, original and rigorous interdisciplinary research and have demonstrated a steadfast commitment to the health and vibrancy of the IS program and community. Supervisory recipients will have a record of exemplary supervision of IS students who have achieved exceptional academic records of achievement within the IS MA program, worked diligently to ensure strong, original and rigorous interdisciplinary research and have demonstrated a steadfast commitment to the health, strength and vibrancy of the IS program and community. IS Supervisor and Past Executive Member wins FGS teaching Award! The Faculty of Graduate Studies (FGS) honoured two professors for substantial, significant and sustained excellence, commitment and enthusiasm to the multi-facted aspects of graduate teaching at York University. Close to 50 students, faculty and staff were on hand to see Vice-President Academic and Provost Rhonda Lenton present the FGS Teaching Award to education Professor Celia Haig-Brown, and President and Vice-Chancellor Mamdouh Shoukri present a posthumous award to computer science and engineering Professor Nick Cercone at FGS Faculty Council on March 3. 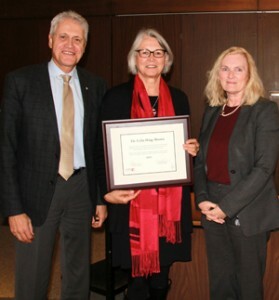 President Mamdouh Shoukri, left, Professor Celia Haig–Brown and Vice–President Academic and Provost Rhonda Lenton with Haig–Brown's Teaching Award. Photo Credit Christopher Douris. “Celia’s extraordinary work in the classroom, on supervisory committees, as a mentor to students present and past, and finally as a guiding force in the many programs with which she is affiliated, all mark her an exemplary member of the graduate community at York,” said Lenton. 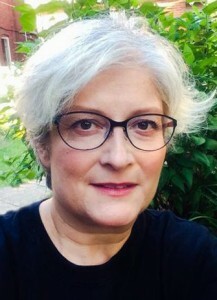 Lenton commented that Haig-Brown’s stellar record of teaching, mentorship and commitment to graduate education has influenced multiple cohorts of scholars and teachers, as reflected by one of her nominators who said “her teaching has transformed the way we engage with social justice as a lived path”. 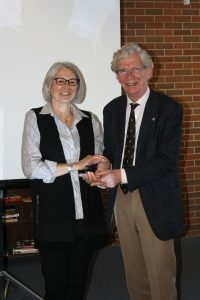 “It is my sincere pleasure to congratulate Celia on this award in recognition of her profound commitment to students and to graduate education at York University,” said Lenton. Besides Education, Dr. Haig–Brown is affiliated with the graduate programs in Environmental Studies, Gender, Feminist and Women’s Studies, Humanities, Interdisciplinary Studies, and Social and Political Thought. She has supervised the completion of 11 doctoral dissertations and more than 30 master’s theses, and has sat on more than 30 PhD and more than 70 master’s supervision committees during her academic career. Letters of support for Haig-Brown’s nomination of the award, many from former students, noted her wide influence on their pedagogical approaches, her quality of critical attention, and her powerful intellect and knowledge. 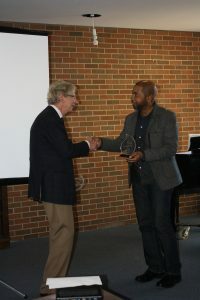 The FGS Teaching Award is bestowed annually on a member of the Faculty of Graduate Studies who has displayed substantial, significant and sustained excellence, commitment and enthusiasm to the multifaceted aspects of teaching at the graduate level. 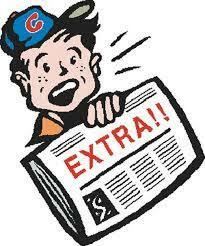 Interdisciplinary Studies Student Featured on YFile! 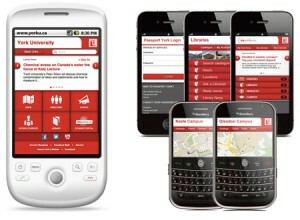 York U Mobile provides smartphone users with convenient and quick access to interactive maps of the University's Keele and Glendon campuses, the current student portal, the University Libraries, York's home page and the Passport York secure sign in.